Pre-K classes at each of Briya’s three sites have been busy this winter doing studies on boxes, buildings, and clothing. 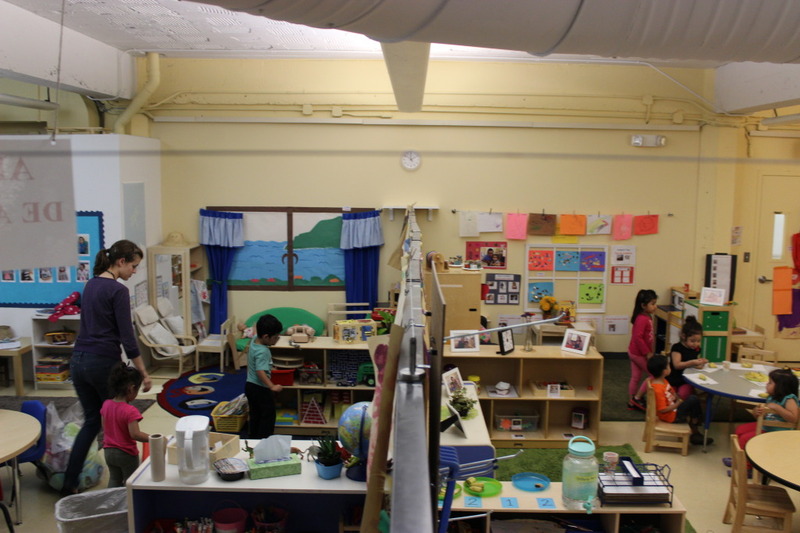 Studies in pre-K classrooms last from six to ten weeks and allow preschoolers to dig deep into a particular topic. 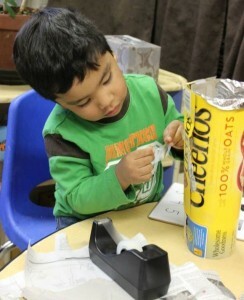 Pre-K students at Briya’s Bancroft site did a study on boxes. They explored and used boxes in a variety of ways, including using their imagination to convert boxes into a police car, a spaceship, a snowman and more! They tested, discussed and evaluated a pulley system and a dolly. Students learned the difference between sturdy and flimsy boxes and talked about how fragile objects are often wrapped in boxes. Students also had the chance to be engineers. They designed and created their own sturdy boxes using various materials, tested the boxes’ strength with blocks, reinforced the weak points, decorated them and finally packed them with a fragile gift to take home to their parents. Georgia Avenue pre-K students investigated buildings. 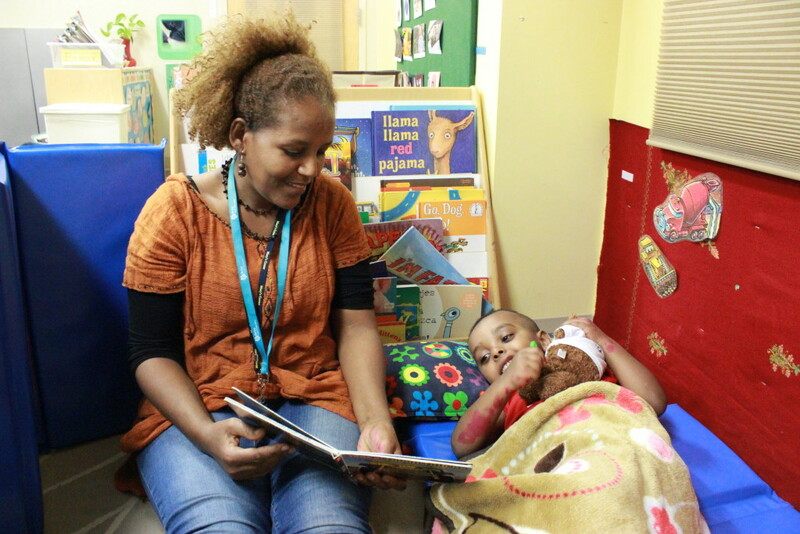 They read stories relating to building, such as Three Little Pigs and Tools Rule. They also discussed and explored a variety of questions, including: what are the parts of a building? what are buildings made of? who builds buildings? what tools do we use to build buildings? what happens inside buildings? and more. Students learned vocabulary words related to buildings, and these same words were highlighted in visually appealing ways along with learning activities and sent home to parents each week. The classroom was filled with their projects and pictures of buildings and building parts. 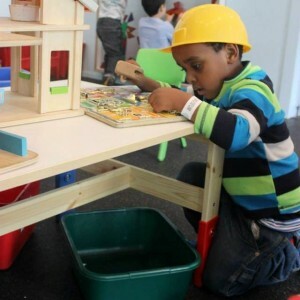 They also visited the construction site near the school, went to a local design and building firm, had a visit from an architect, made a large blueprint for their classroom and had the chance to go on a field trip to the National Building Museum. 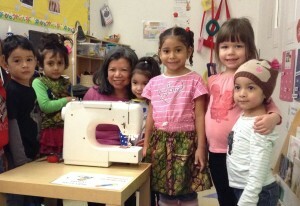 The two pre-K classes at Briya’s Ontario Road site spent time studying clothing. Guest speakers demonstrated how clothing is made, and students had the chance to practice sewing by hand with a needle and thread and ripping out seams with a seam ripper. In addition, students learned about uniforms and had a visit from DC firefighters, who explained how their uniforms protect them during fires. The unit also included a field trip to Target, where the children met employees, got a tour of the clothing section, and learned how clothing is organized and how price tags are attached. 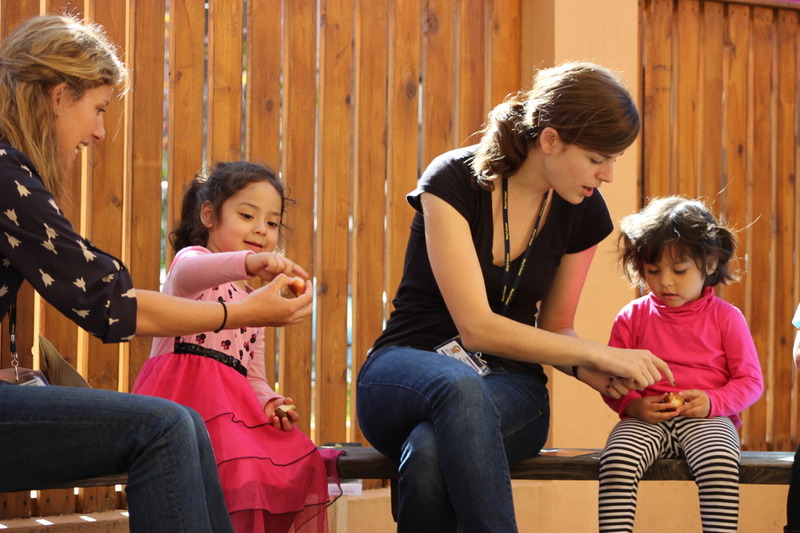 This fall, preschoolers at Briya’s Ontario Road site have been learning in the garden! Children heard about how bulbs grow and looked at the different sizes of crocus, tulip, and daffodil bulbs before planting and watering them. In the spring, the children will get to see the bulbs they planted grow into flowers! Students also planted purple and yellow pansies in a pattern and learned a song about what flowers need to grow. This hands-on learning connects to lessons about trees and the way plants grow that students have been learning in the classroom.